Rachel is back with a timely and fun painting workshop. 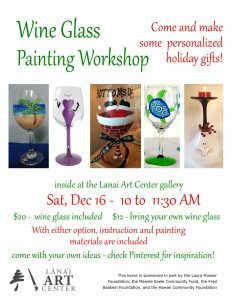 Use your imagination to decorate a wine glass. These make great gifts and are fun and easy to make. Only a limited number of glasses are available so your are welcome to bring your own.